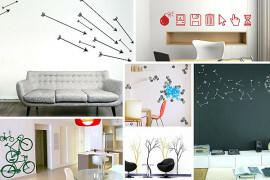 Wall decals are the perfect way to add color and style to your interior. 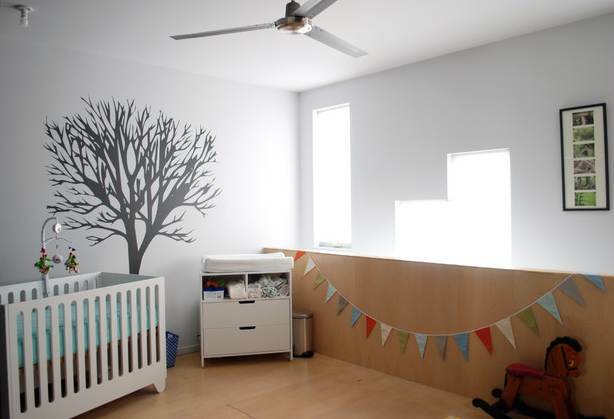 Less permanent than paint, they are also fairly easy to apply, making them ideal for renters and those who are hesitant to commit to the time and cost of a mural. 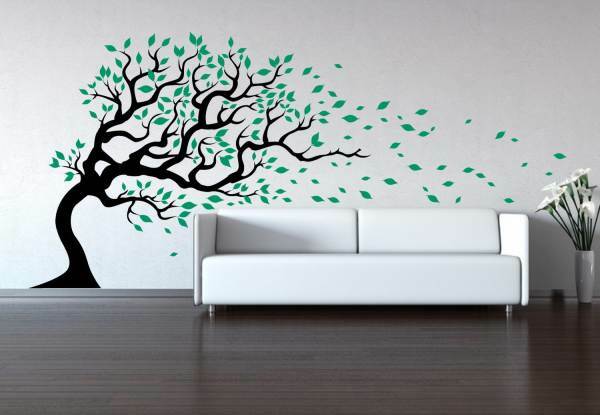 Today we zero in on wall decals that celebrate the intricacies of the tree. 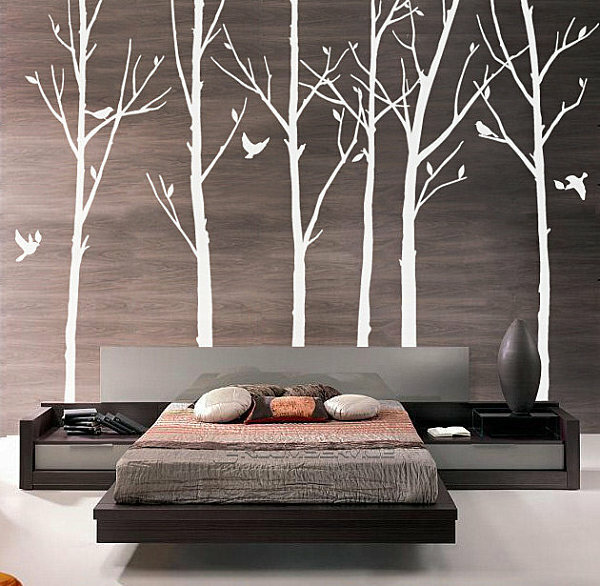 In fact, a large portion of modern wall decals focus on natural motifs such as branches, trunks, leaves and blossoms. 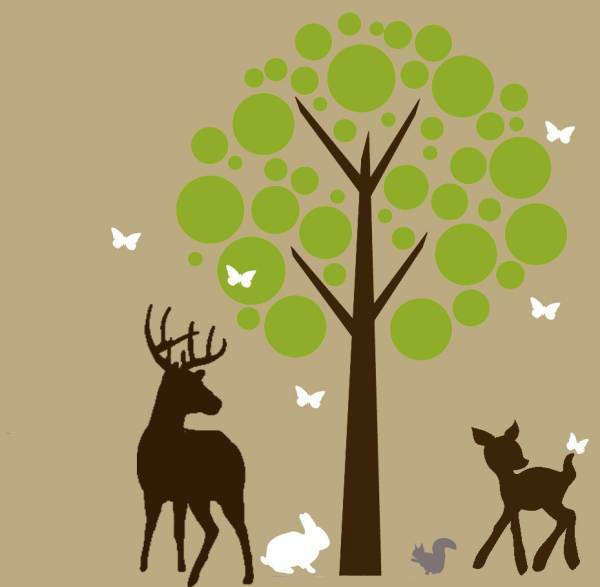 Our first Tree Wall Decal comes from Etsy shop Cherry Walls. 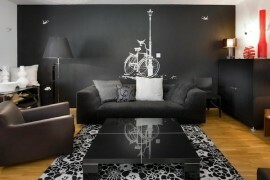 As shown, sometimes the best way to call attention to a decal is to keep the rest of the decor monochromatic. 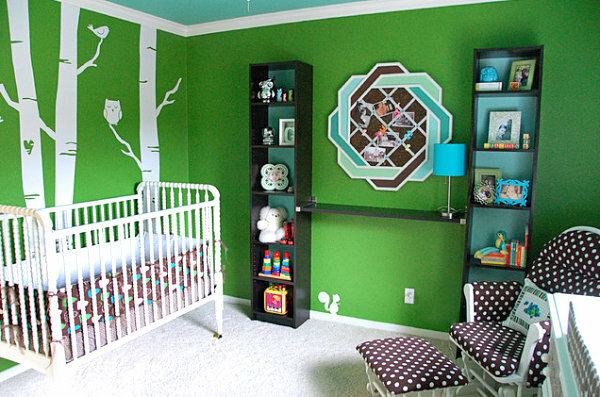 As with most decal options, you can choose your own colors to personalize this design. Sometimes one decal says it all, while at other times, decals come in sets for maximum effect. 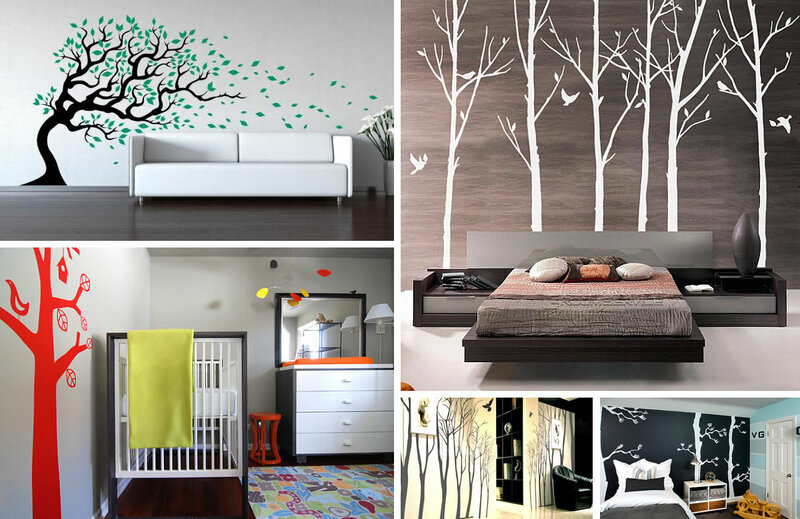 This Set of 14 Tree Wall Decals from Etsy shop Chin Studio covers the walls of any room with a modern design. 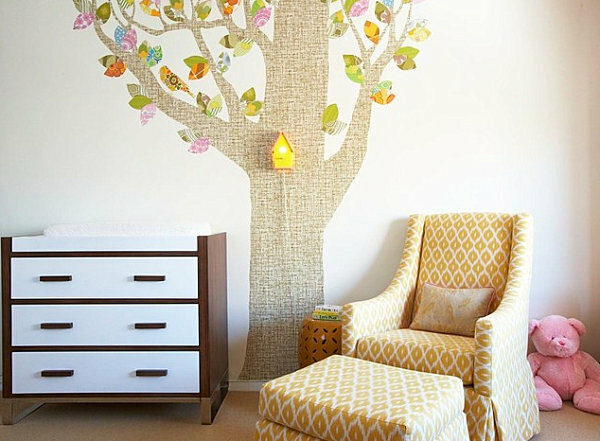 To get just the right look, choose from Chin Studio’s provided color chart, or you can have the trees custom printed in the hue of your choice. 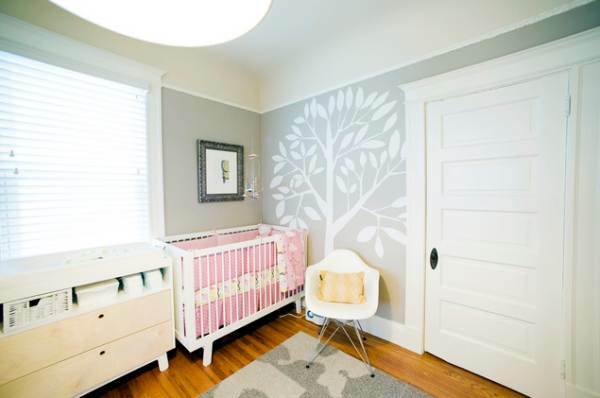 When the walls boast a stand-out color or pattern, make them shine by selecting decals in a simple yet crisp shade of white. 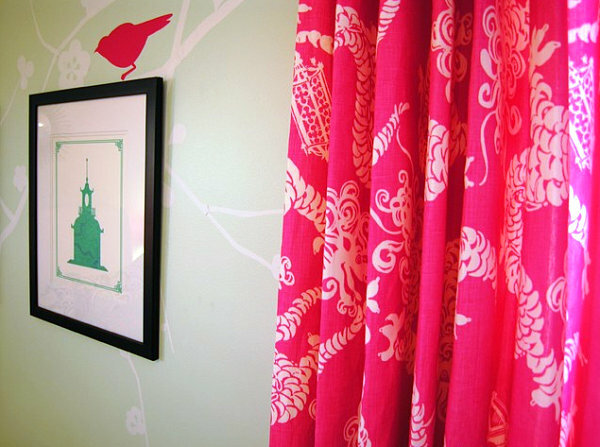 Longing for more color? 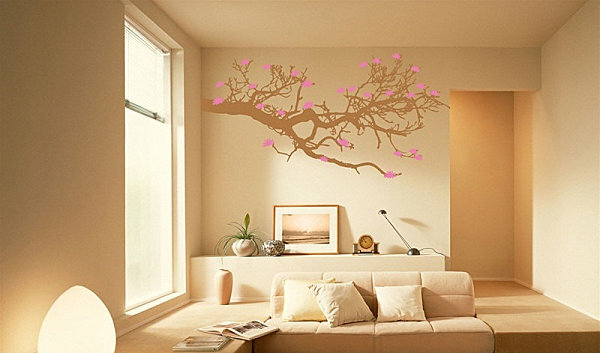 Don’t worry– the Tree Wall Decal Sticker Art below can be ordered in the shade of your choice. 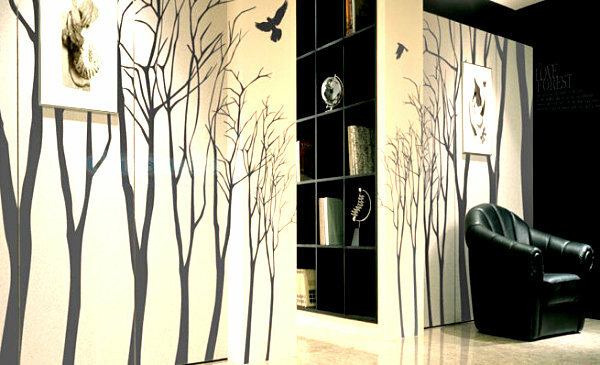 This set of 6 striking decals comes from Etsy shop Wall Decal Depot. 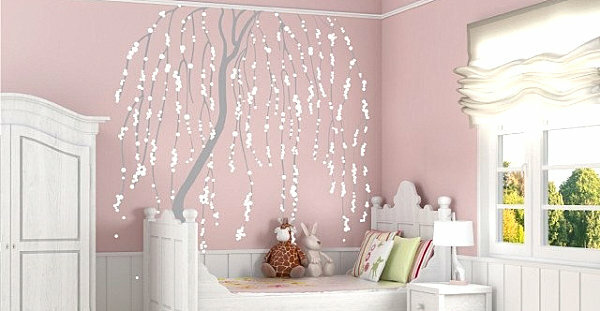 Hanging blooms whimsically adorn the child’s room below, thanks to the Cherry Blossom Tree Wall Decal from Etsy shop Anna’s Wall Decals. 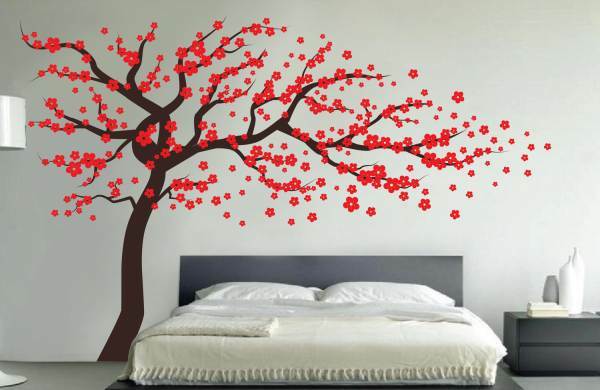 Delicate, fluid and lovely, don’t you think?! 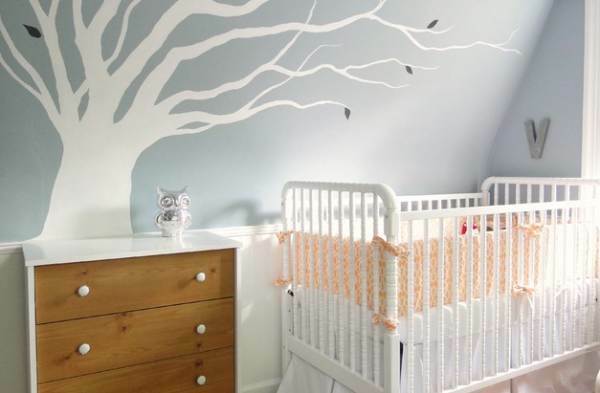 We end this section with the Custom Nursery Tree Wall Decal from Etsy shop Mommy of Ty Designs. 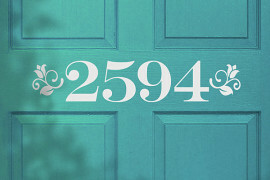 Why custom? 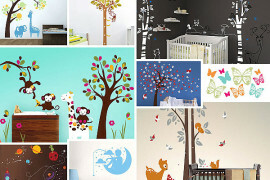 Because you can select a different hue for each animal, as well as personalize the tree bark and leaf colors. 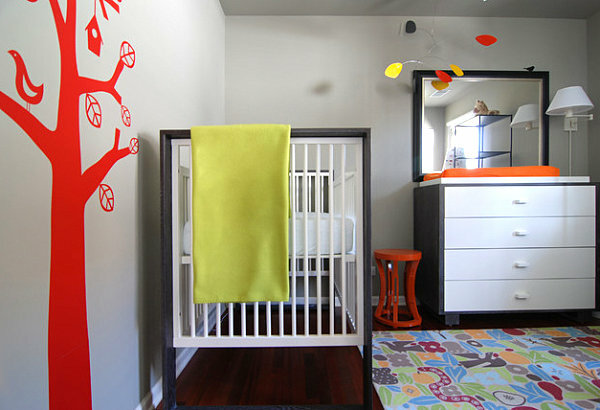 Add just the right shades to your well-planned nursery! Sometimes a little goes a long way. 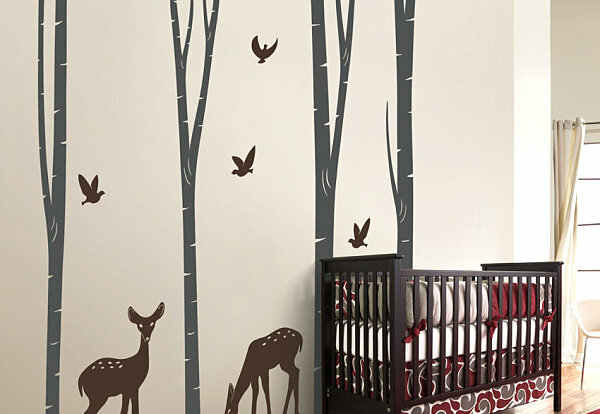 In this next girl’s room from Allen Patterson Residential, a small decal reinforces the branch-and-leaf motif created by a tall branch in a vase.